My mom and I have been working on getting Haddison’s room ready, looking at all the bedding available I just wasn’t very impressed by the patterns and the price so we figured that we could make it custom for her. I decided to go with the black and white pattern with the accent color of hot pink, no baby pink here. 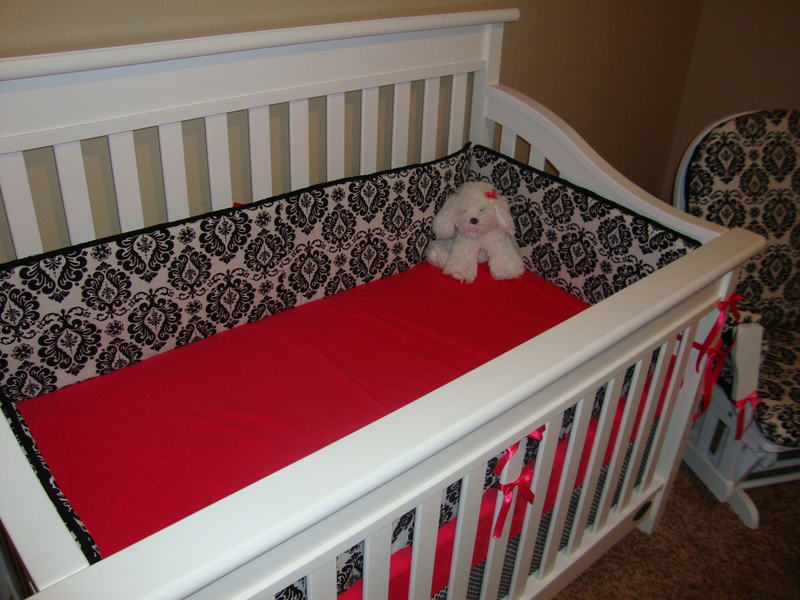 The bedskirt is a black and white diamond pattern, the bumper is the damask pattern and the bedsheet is made from hot pink fabric. 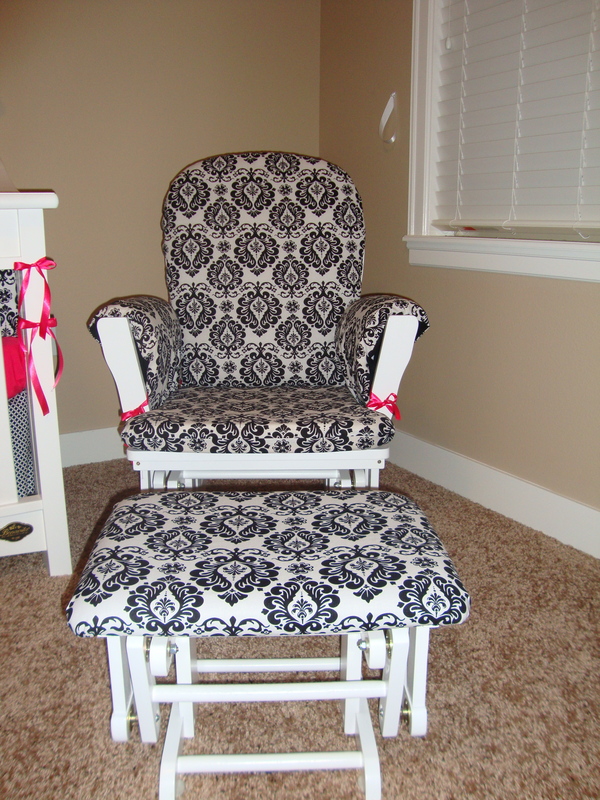 The glider chair was one of our thrift store finds for $45.00 and recovered to match the bedding. 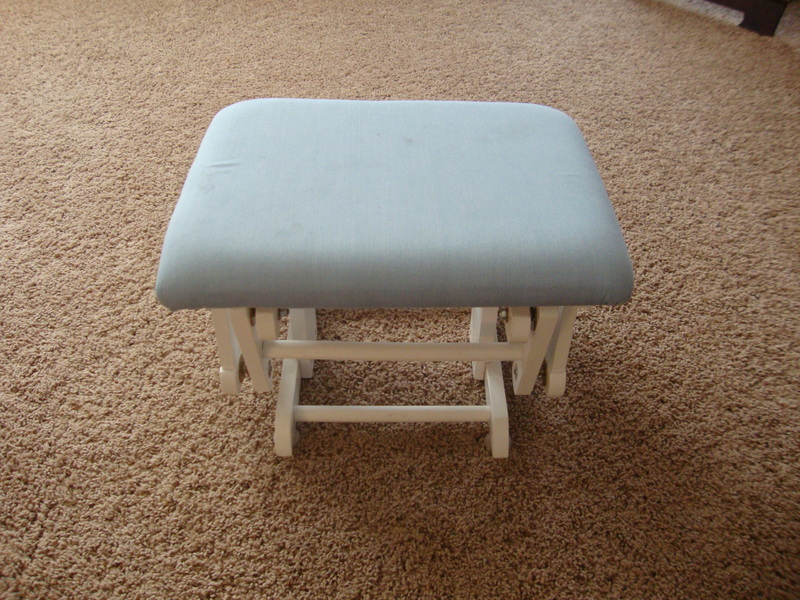 The original color of the chair pads was a weird baby/denim blue not in very good shape at all but the bones were just what we were looking for!!! 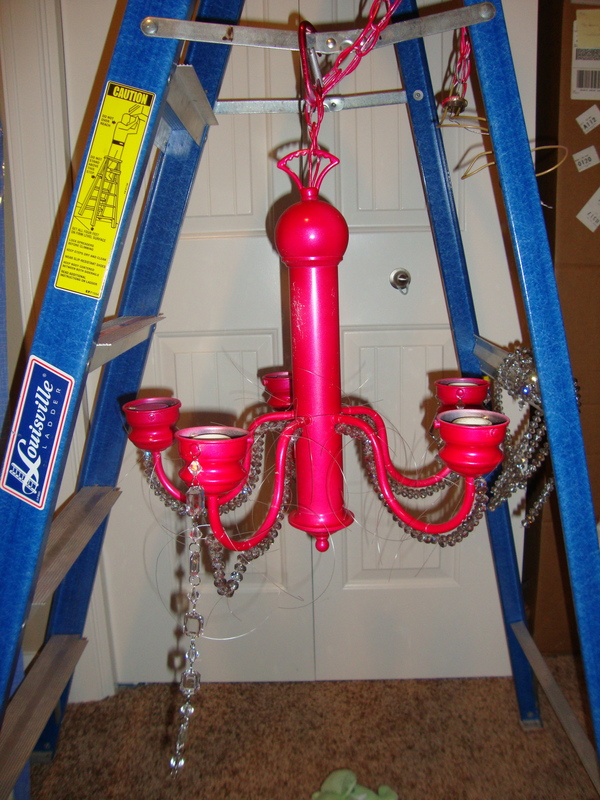 Another addition to the room soon will be the chandelier we picked up at the Good Will for $15.00. It was originally a shiny silver and the bulbs were supposed to point down, but with a little help, spray paint, crystals…it will be perfect. Darling Home and Furniture, DIY Crafts, Darling?